Effective immediately, Bauer Media Group will simplify the reporting structure of its Publishing Business and introduce global responsibilities for Radio, New Business and Online Comparison Platforms (OCP). The Publishing Business in continental Europe will report to Jörg Hausendorf. He will also supervise a newly created global production and printing function. Veit Dengler will assume responsibility for Radio and OCP in addition to his current accountabilities for the Publishing Businesses in UK, USA and Australia/New Zeeland as well as New Business. Witold Wozniak will leave the company after an outstanding career with Bauer. The organizational adjustment will improve the efficiency of management processes by more integration and better collaboration in particular in the Publishing area, foster the development of new businesses and enable a stronger management focus on the company’s relatively new areas Radio and OCP. 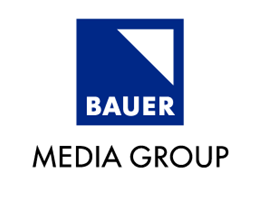 Bauer Media Group is one of the world’s most successful media corporations. Over 600 magazines, more than 400 digital products and over 100 radio and TV stations are enjoyed by millions of people across the globe. The corporate portfolio also includes print shops, postal, sales and marketing services. Bauer Media Group’s global positioning underscores its passion for people and brands. We see ourselves as the home of popular media, as illustrated by our strapline "We think popular." - a claim which inspires and motivates our global workforce of some 11,500 employees in 17 countries.